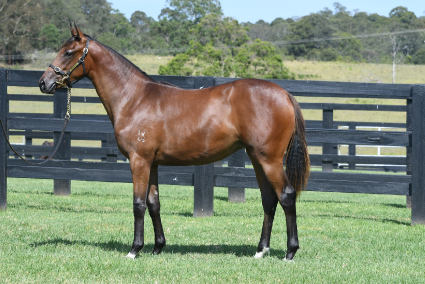 This filly is by exceptional sire I Am Invincible and will appeal to many. 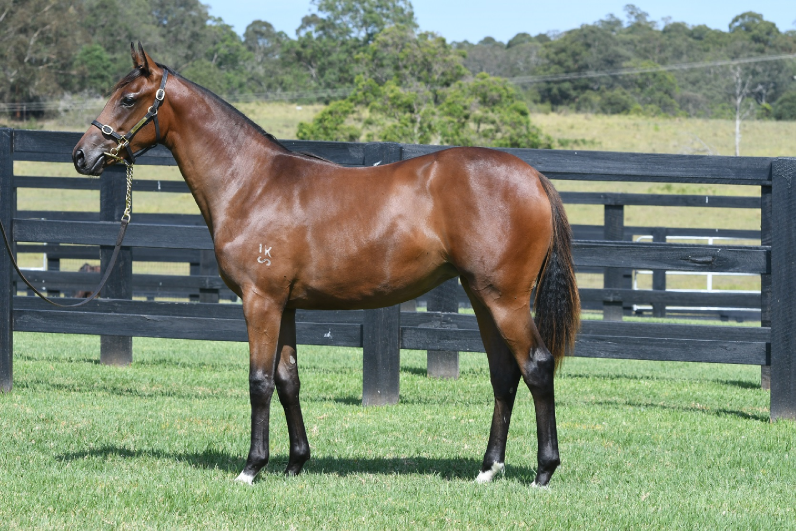 She is out of a Flying Spur half sister to Not A Single Doubt. 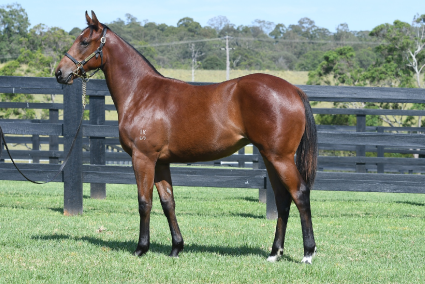 This filly has the looks, quality and pedigree to perform on the racetrack and in the breeding barn. This pedigree and type rarely come together in the one package and she surely ticks boxes. This filly says BOOM!!!. She is by world class stallion Snitzel out of the fast stakes placed city winning 2yo General Nediym mare Fortune of War. 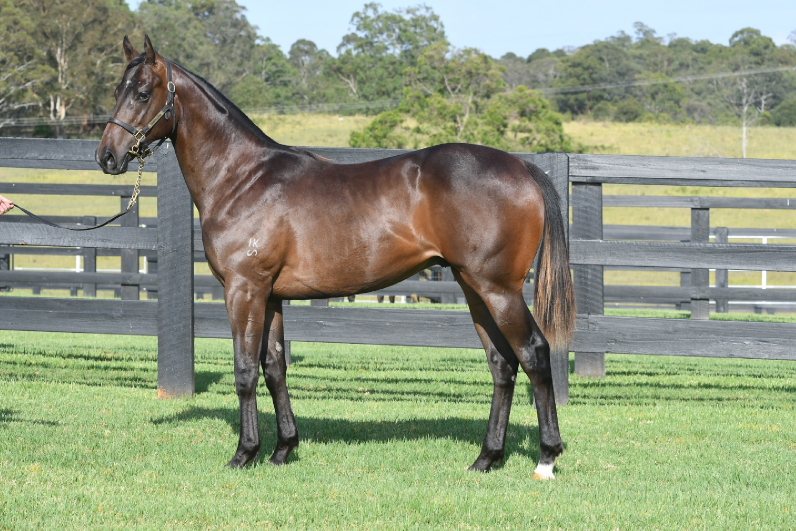 This yearlings full sister is this seasons exciting 2yo Spoils who is already stakes placed in the MRC Debutant Stakes L from only one start. This filly has 2yo written all over her. She has the confirmation, pedigree and walk that will appeal to most. 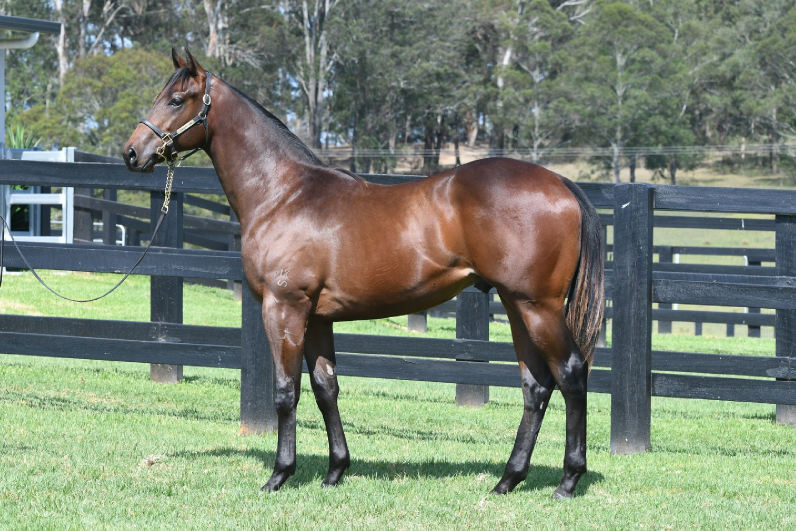 The colt has the pedigree and physique to get you a early running 2yo. 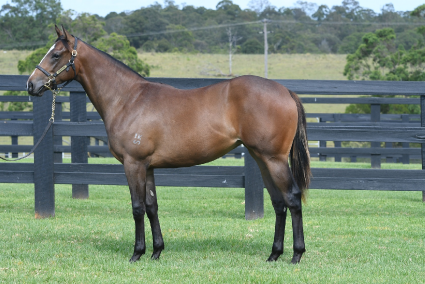 He is by exciting first season sire Zoustar out of stakes winning 2yo mare JESTER S GIRL. 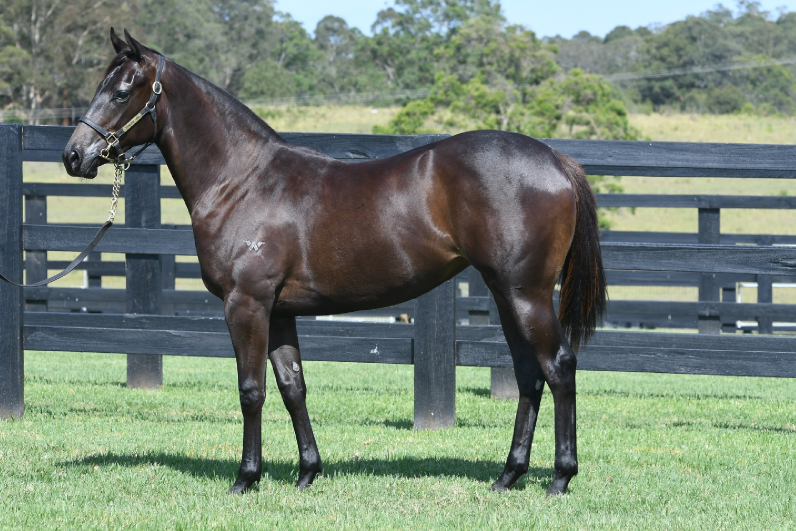 His grand dam HOW FUNNY stamps the 2yo speed in the family as she was second in the Golden Slipper Gr.1. 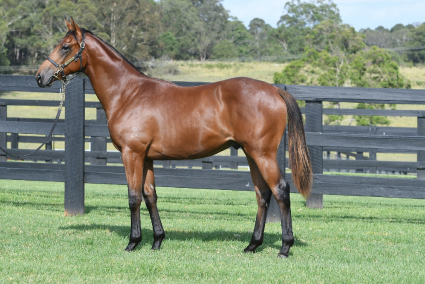 Good moving colt with loads of potential and upside for the buyer. This colt continues to thrive and develop in his yearling preparation. 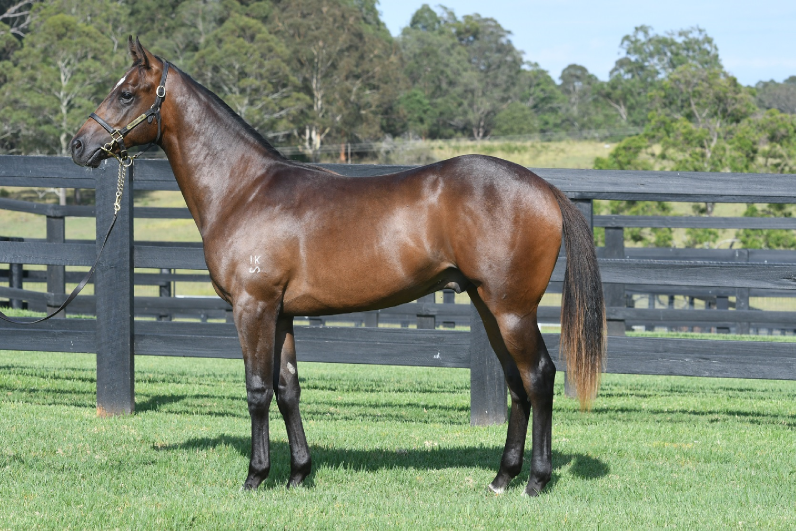 He has the temperament and quality to develop into a lovely racing colt. He is by champion stallion Medaglia D Oro out of a young Royal Academy mare in Miss Fidler. Miss Fidler is a half sister to Group 1 winner HURTLE MYRTLE. The Medaglia D Oro / Royal Academy cross has already produced Gr.1 winner COFFEE CLIQUE and this colt should appeal to many. This filly has developed into a big strong robust filly. This is a stakes winning family and include Gr.1 winner DIVINE MADONNA and stakes winners BLESSUM and ANGEL OF MERCY. She will develop into a lovely 2yo/3yo type by exciting stallion Hinchinbrook. She has the pedigree, looks and confirmation to be successful on the track. 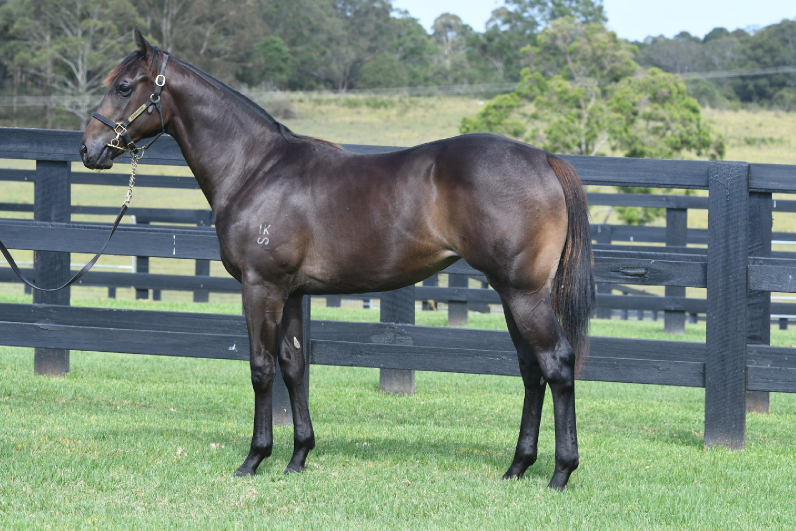 This filly is by exciting new first sire in Sizzling. 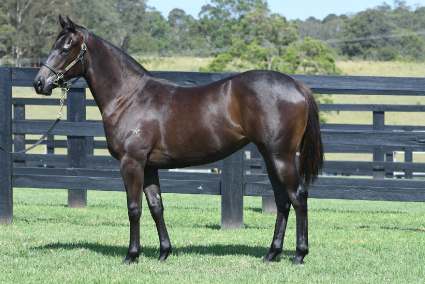 Her dam Senro Kisaki is a city winner herself and has already produced quality Hong Kong galloper Victory Marvel. She has good bone, deep girth and shoulder and looks like an early running type. This filly stands over ground and is powerfully built. 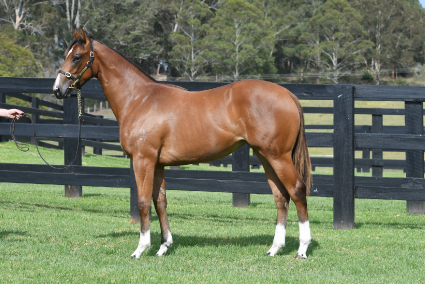 She has an exceptional pedigree with her dam by Redoutes Choice being a half sister to the dam of exciting first season sire Sizzling. She is by underated stallion All American who is the sire of this seasons exciting Gr.1 winner YANKEE ROSE. 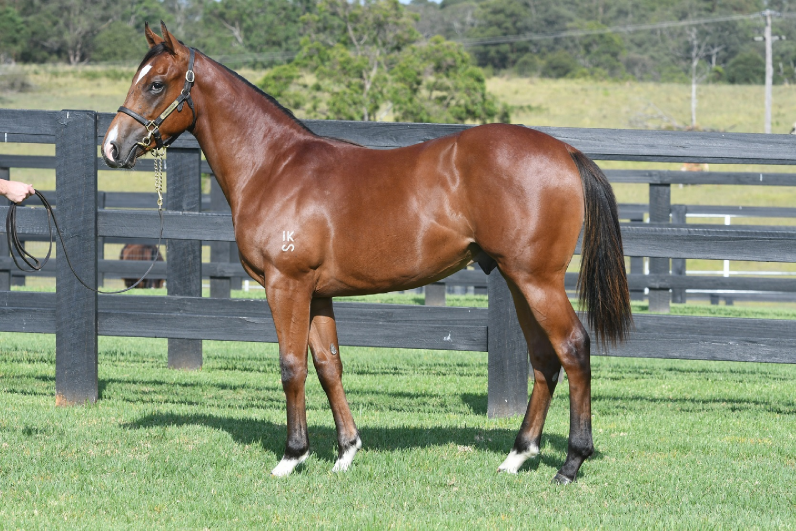 This filly looks like a racehorse and handling the sale preparation with ease. 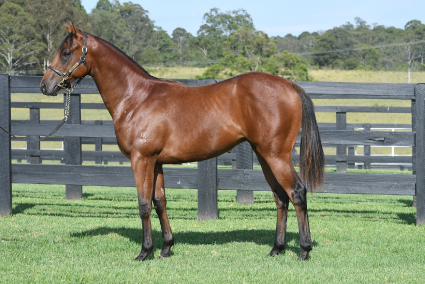 She will develop into a lovely 2/3yo type. This colt looks like a racehorse. 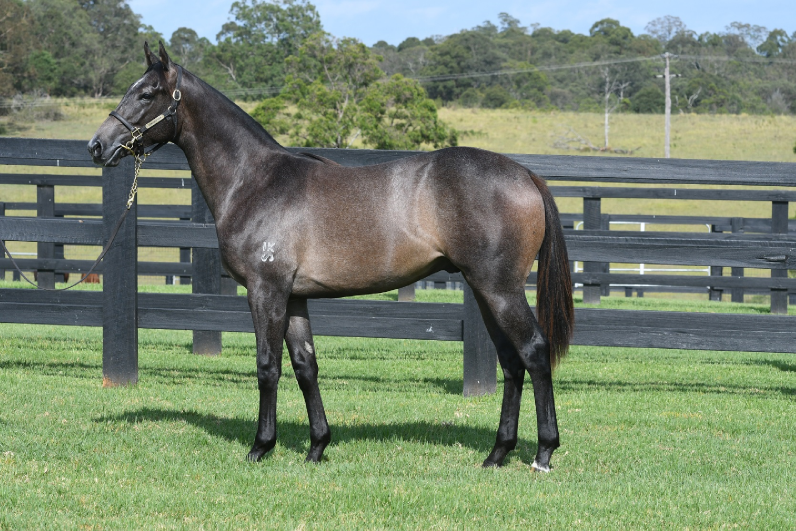 He is by exciting new stallion All Too Hard out of a young stakes winning mare in BECERRA. The family is full of Gr.1 winners including FIRST SEAL and EPISODE. He is a lovely mover, great shoulder and hindquarter. This colt should develop into a 2/3yo type and has all the attributes to be a quality 1600/2000m horse into the future. An exceptional colt. He has a massive walk and ticks all the boxes on type and looks. He is by exciting first season sire Zoustar. He is the first foal of the very fast 2yo stakes winning Tale of the Cat mare CALCATTA. This colt is must for inspection as he will appeal to most buyers who are wanting early speed that continues through to their 3yo careers. 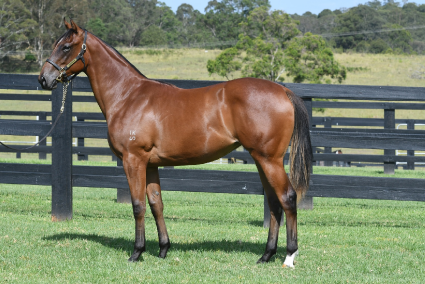 This filly ticks all the boxes. 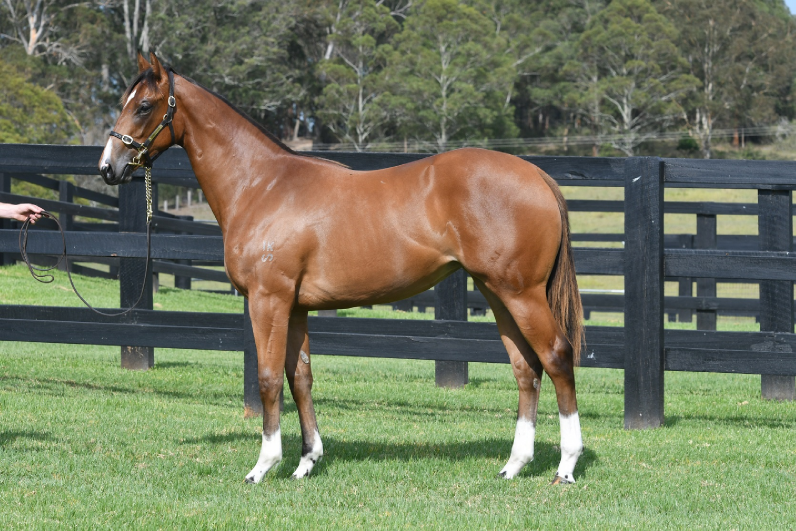 She is by leading 2yo sire Exceed and Excel out of stakes placed 2yo mare Diva Dee. 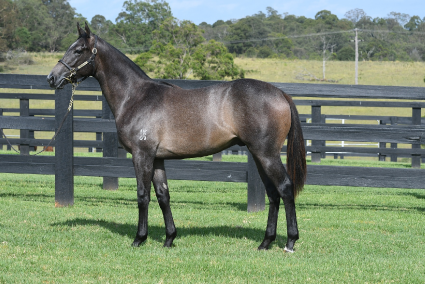 This yearling is the first foal of the dam who is also by leading broodmare sire Encosta De Lago. This filly stands over ground, has a great walk and a real quality that will appeal to a lot of buyers who are looking for early 2yo types with looks and pedigree. This colt is a big strong yearling. This colt will be a runner. He is correct and a great mover. He is the first foal of city winning stakes placed mare Quest For Peace. This filly is by exciting new stallion Eurozone. The female line is full of black type winners and this filly will appeal to buyers wanting to race and breed. 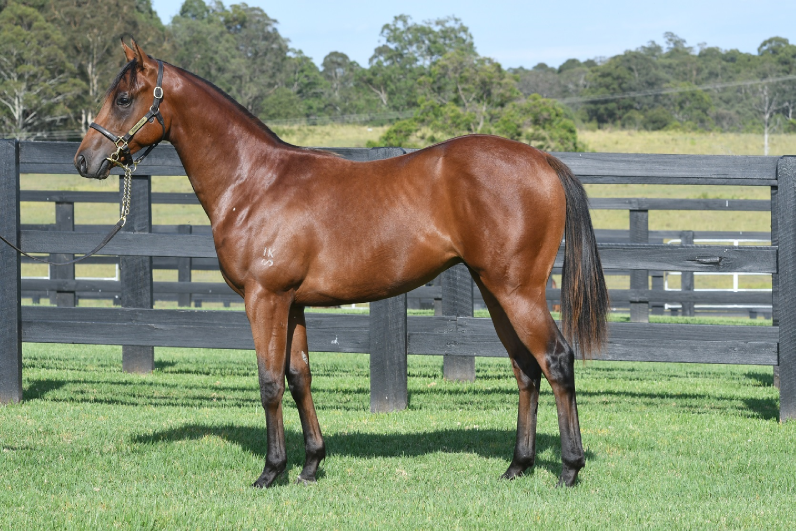 This family is renowned for producing quality runners and this filly definitely presents herself well. She moves well, is correct and demands attention. This colt will surprise many. He gets over the ground well and looks a real jump and run 2yo. If buyers are looking for the 2018 Magic Millions 2yo winner then this colt is a must to inspect.